Deadline for applications: 15 December 2014. This entry was posted in Summer Schools on November 27, 2014 by admin. The 2015 General Conference will be taking place in Montreal – the ECPR’s first ever event to be held outside of Europe. 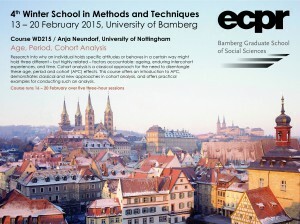 Click here to submit your Section proposal for the ECPR General Conference now. Deadline is midnight 17 November (tonight!). This entry was posted in Montreal 2015 on November 17, 2014 by admin. This entry was posted in ECPR, Montreal 2015 on November 14, 2014 by admin. Using Social Networks to Sample and Analyse Data from Had-to-Reach and Hidden Populations. Deadline for registration: 12 February 2015. This entry was posted in WSMT Bamberg 2015 on November 7, 2014 by admin. 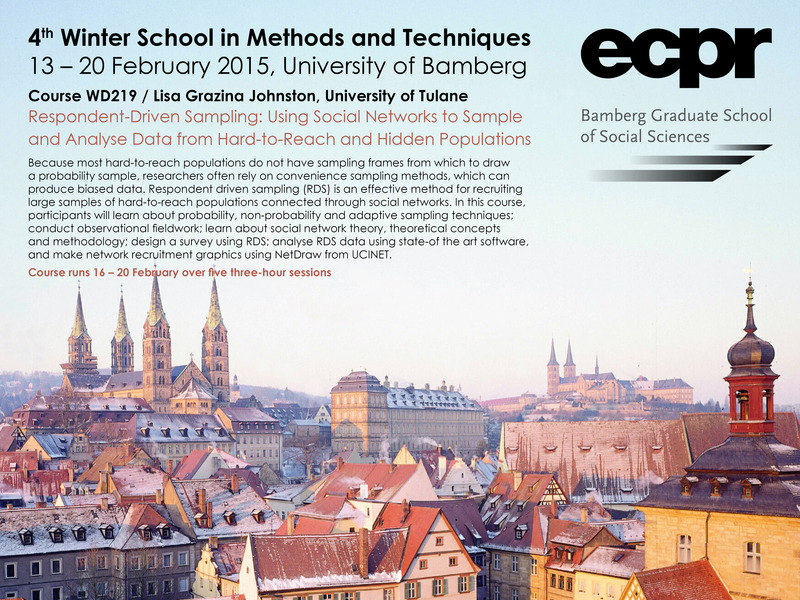 Deadline for registrations: 12 February 2015. Deadline for registrations: 12 January 2015.